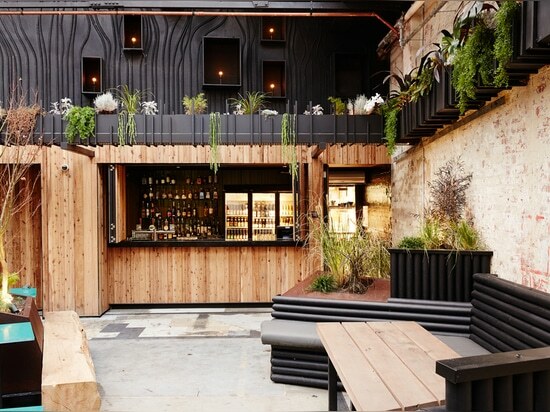 We definitely want to mosey up to these bars on a Friday night! Equip’Hotel opens its doors in Paris tomorrow with a plethora of products for the hospitality industry. We thought we’d celebrate by spotlighting to our favorite part of the hospitality industry: the good ol’ bar. Except we’re taking it to the next level. Everyone likes a tipple from to time, and ambiance may not protect you from spilled beer and your fellow obnoxiously intoxicated patrons, but it helps! Here are eight bars that may help turn your evening from ordinary to extraordinary. 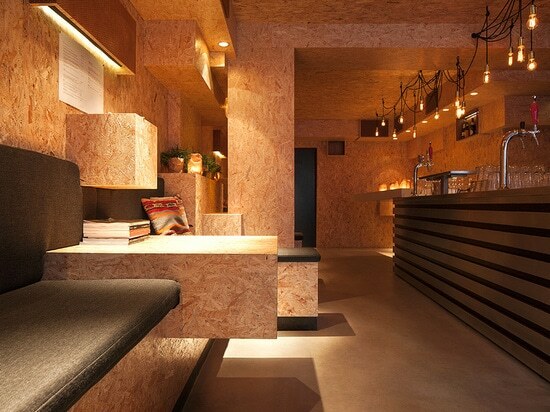 A tiny bar with big attitude, Bar MASH in Amsterdam uses its small size to create a cozy atmosphere. 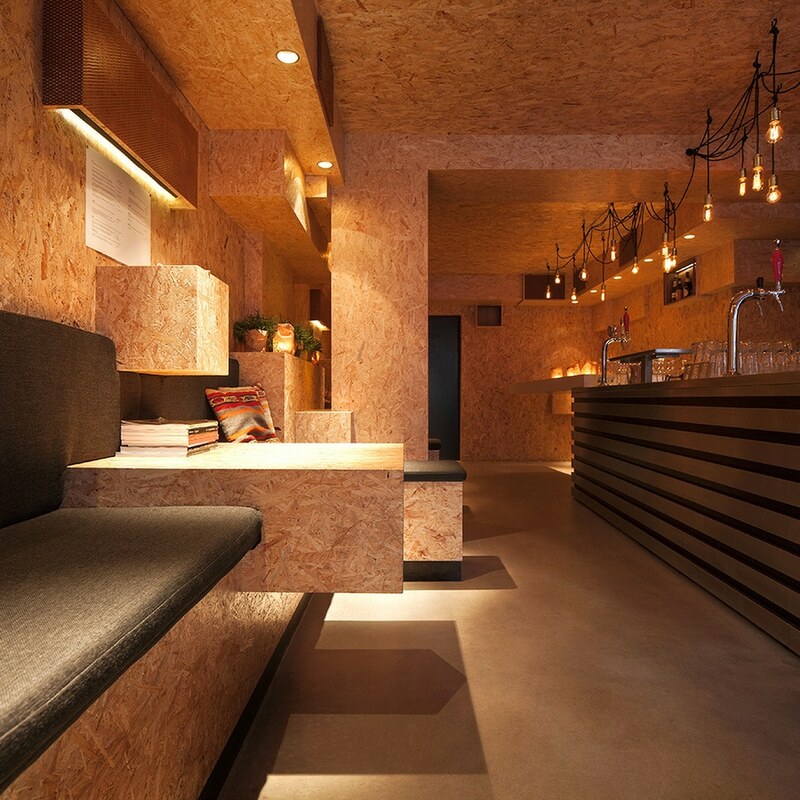 The architects used OSB and naked light bulbs and intimate nooks for an informal spot to grab a drink in the city. We’ve already talked about Buero Wagner’s Gamsei Cocktail Bar, but we’re slipping it into our top ten. Their local, homemade approach to cocktails is irresistible, as is their modernized-beer-hall atmosphere. 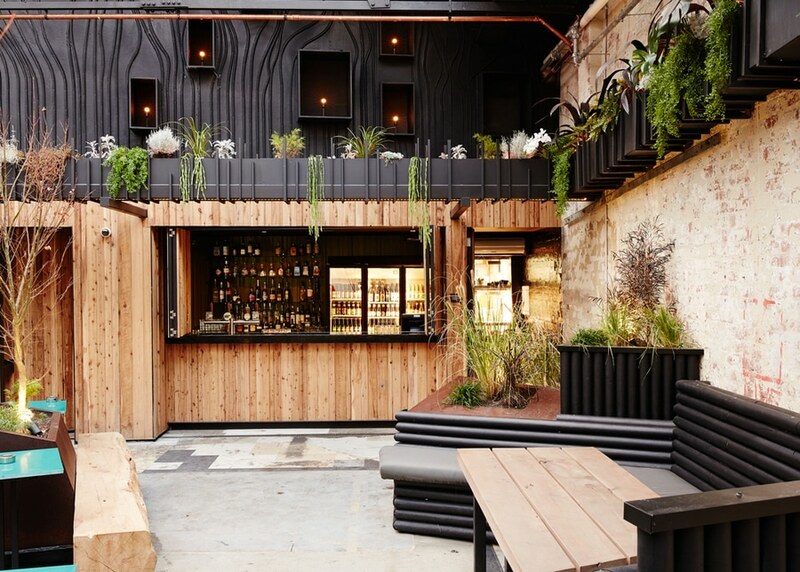 Located in an old warehouse in Brunswick, Australia, Howler is at once a bar, cinema, art gallery, theater and concert hall. 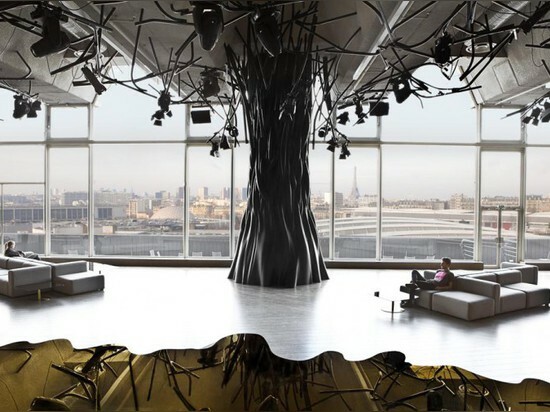 The stripped down industrial aesthetic is perfect with exposed concrete floors, rough brick and a giant metal tree. 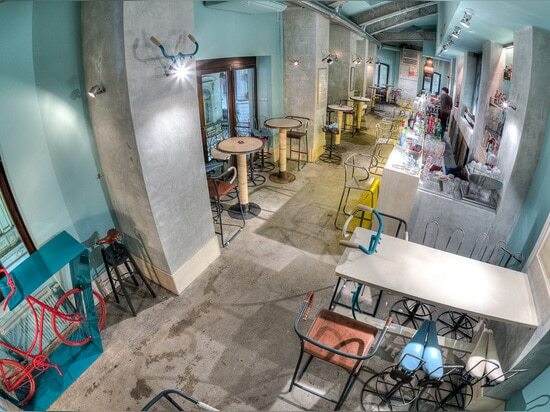 Bucharest’s Bicycle Bar was conceived by a young local designer, Alina Turdean. Using mostly vintage bike parts from Great Britain, she created stools, chairs and tables. 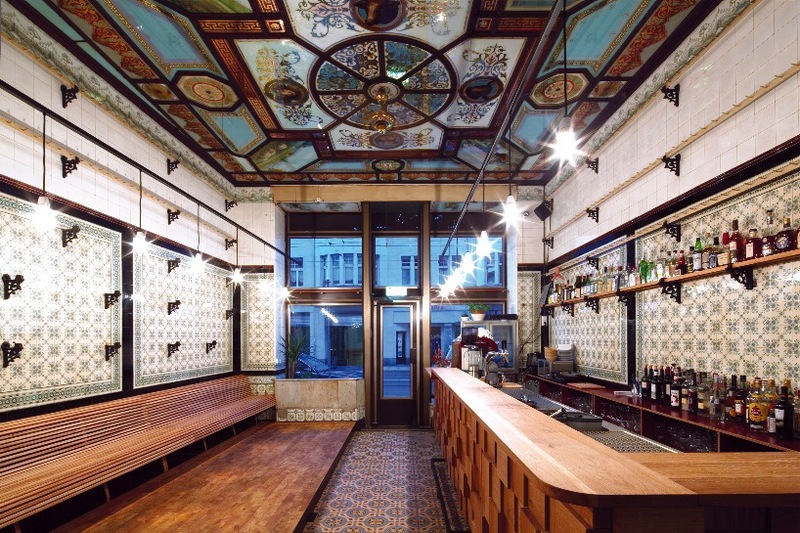 The result is a shrine to childhood obsession and a highly original place to grab a drink. For any brandy-drinking aficionados, the Shustov Brandy Bar in Odessa is the place to go. 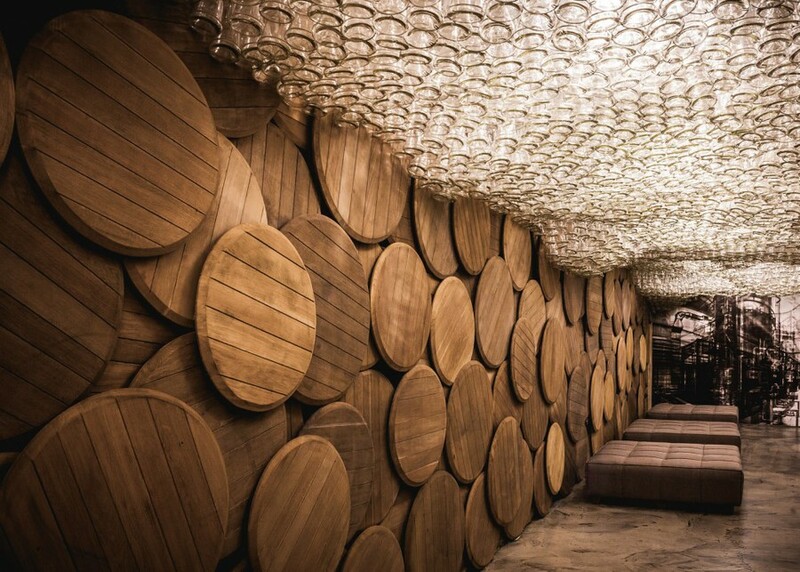 The walls are made from barrels and the ceiling is a cloud of brandy bottles. 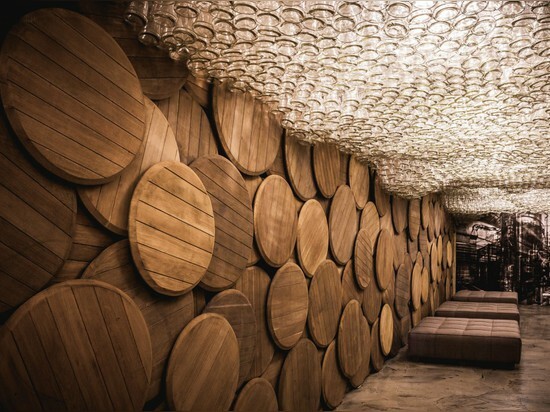 Even if you don’t like brandy, this place is too cool to pass up. 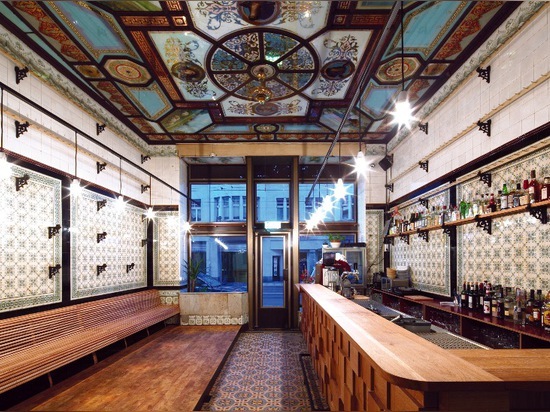 German architect Michael Grzesiak turned a hundred-year-old butcher’s shop into a super classy drinking establishment. The space’s original ceramic tiles line the walls and happy cows and pigs smile down from reverse painted glass panels on the ceiling. A long wooden bench offers the perfect spot to grab a bottle and hunker down. 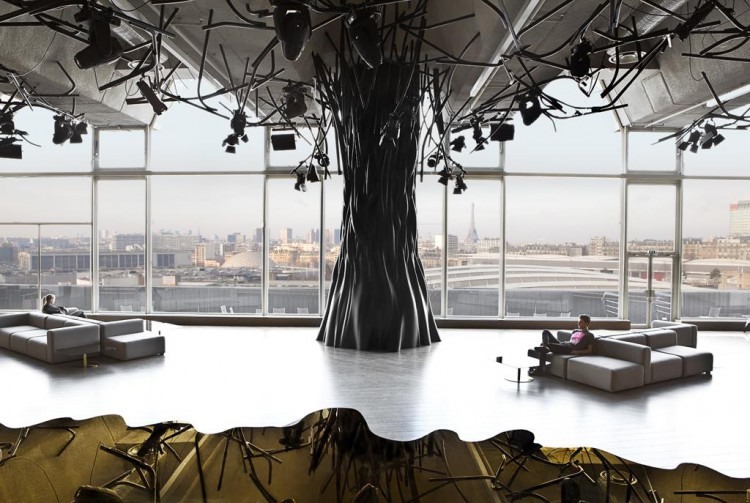 At Electric bar and nightclub in Paris, giant black trees sprout from the floor, projecting light and video from their branches. Even better, the penthouse spot has fantastic views over the Parisian skyline. 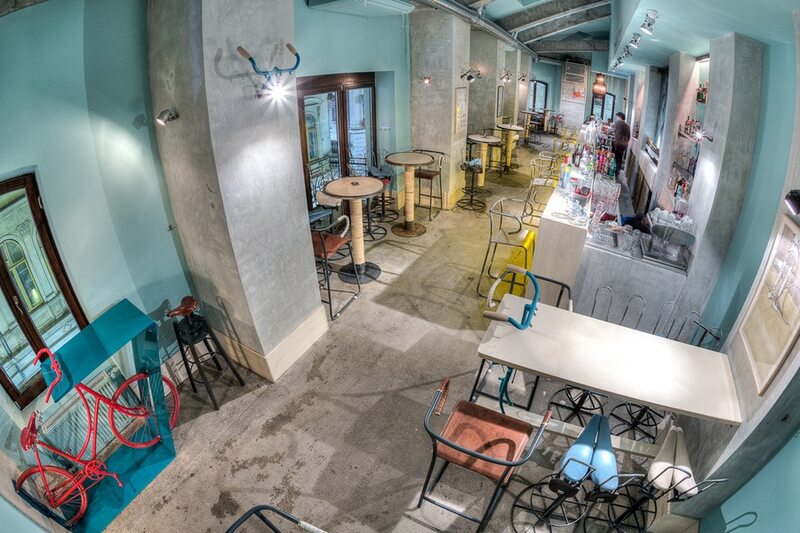 Finally, here’s a bar for the non-alcoholic crowd! And it’s even more delicious. Barcelona’s Poncelet Cheese Bar is a vintage-inspired, color-filled design treat that is entirely dedicated to the stinky goodness that is cheese.